Dietary minerals are naturally occurring inorganic nutrients that play a role in many physiological processes necessary for achieving and maintaining good health. They are contained in foods such as dairy products, broccoli, nuts, kale. However, due to the challenges that achieving a balanced diet brings or if you have specific deficiencies you may need a bit of help to get the optimal dosage of the minerals you need. 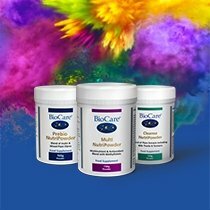 BioCare® offers a range of high quality mineral supplements with suitable options for everyone. You can choose from a variety of magnesium supplements, including Magnesium Citrate, Magnesium Malate, Magnesium Taurate, BioMagnesium (Magnesium and Fumaric acid), Mag 2:1 Cal (Magnesium and Calcium Succinate) and Magnesium Powder. Calcium is a mineral well-known for its ability to aid normal growth and development of bone, particularly in children. Our Mag 2:1 Cal (Magnesium & Calcium) supplement combines these two powerful minerals and provides a balanced ratio in a well-absorbed succinate form. 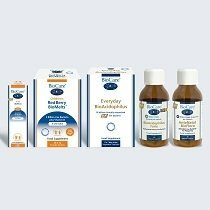 BioCare offers a range of Zinc solutions including Liquid Zinc plus Ascorbate and the capsules Zinc Ascorbate, Optizinc® and Zinc Citrate. BioCare Nutrisorb® liquid range includes Liquid Iodine which provides iodine in a gentle, bioavailable potassium iodide form. 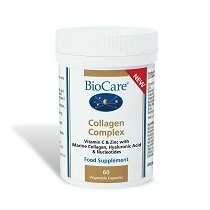 Learn more about the benefits of various BioCare® mineral supplements, by browsing the range available below.